Do you know the true cost and impact downtime and forklift repair could have on your operation? If your facility relies on forklifts, you know how frustrating it can be when one or more forklifts are out of commission due unscheduled repair. When your workers can’t work, you’re losing money. When your team is still on the clock during downtime, your business is using the same amount of labor costs to produce less. Downtime also steals time from mechanics who should be using their time to make permanent improvements to your forklift, rather than having to provide quick fixes and costly repairs on the spot. In some cases where deadlines are involved, you might also have to consider the cost of employee overtime needed to catch up following a period of disruption. If you are producing, storing, or distributing products out of your facility, think about how much those products cost. Think about the time it takes to make or move those products. With some simple math, you can see exactly how much a minute is worth to you. Take that times the total downtime you had, and you’ll learn exactly how much the downtime can cost you in product alone. Downtime of your facility could have adverse short-term or long-term effects on the relationships with your customers. If your operation is down because of unexpected forklift repair, that means your customers are waiting and aren’t getting their orders fulfilled. They often won’t wait on product because of something faulty in your facility. Studies have shown that when your company experiences downtime, you could also face depleting stock returns and shareholder wealth. Understand how preventative maintenance can impact your operation and save you money. Sign up for a preventative maintenance plan. Regularly having your forklifts checked and serviced by a certified technician is extremely important. A scheduled visit to your facility from a trained specialist for a preventative maintenance appointment will also decrease your chances of downtime by identifying potential problems ahead of time and taking the steps needed to prevent them from happening. Know when it’s time to replace instead of repair. 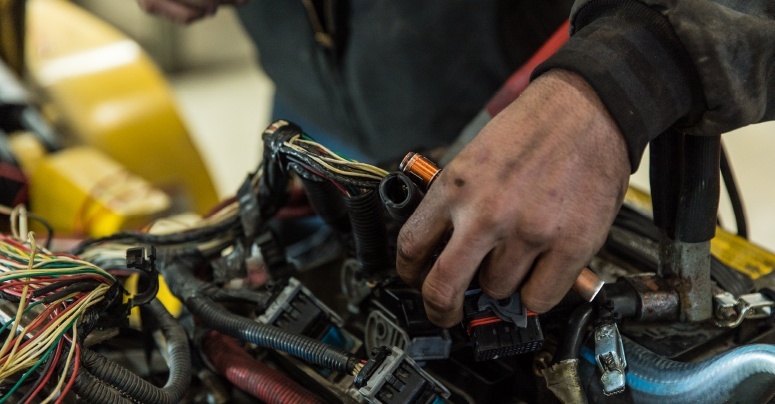 Although a preventative maintenance plan will increase the life expectancy of your forklift, there will come a time when you will need to decide whether you should continue to repair your equipment or purchase new. When it comes to making this decision, a preventative maintenance plan can help. You can use the data collected from each check-up to gauge the efficiency of each forklift in your fleet. Instead of guessing, you’ll have documented records of things like mileage, oil usage, lift hours from each maintenance visit to help you evaluate whether more money should be spent on forklift repair or invested into a new forklift. A preventative maintenance plan is much more cost-effective than the various potential expenses of downtime. Don’t let downtime cost you loss of productivity, product, or even customers. 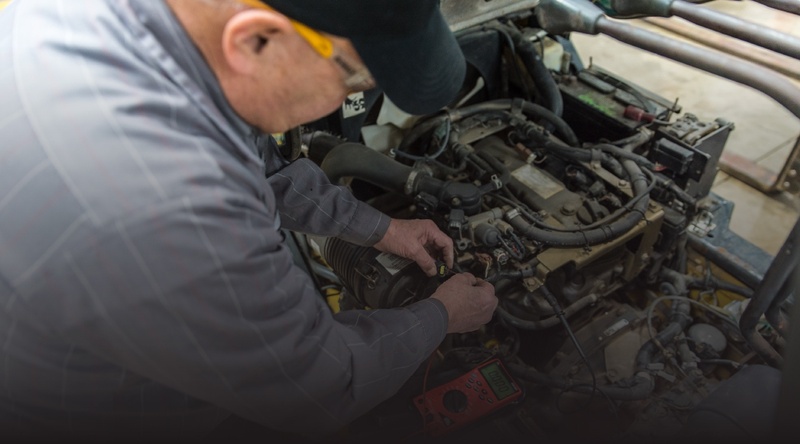 Be smart about your fleet and invest in a preventative maintenance plan today. Interested in talking to a Hodge expert about preventative maintenance? Fill out the form below to have Hodge expert reach out to you.